Home / Visit Sunbird at Data Centre World Hong Kong! 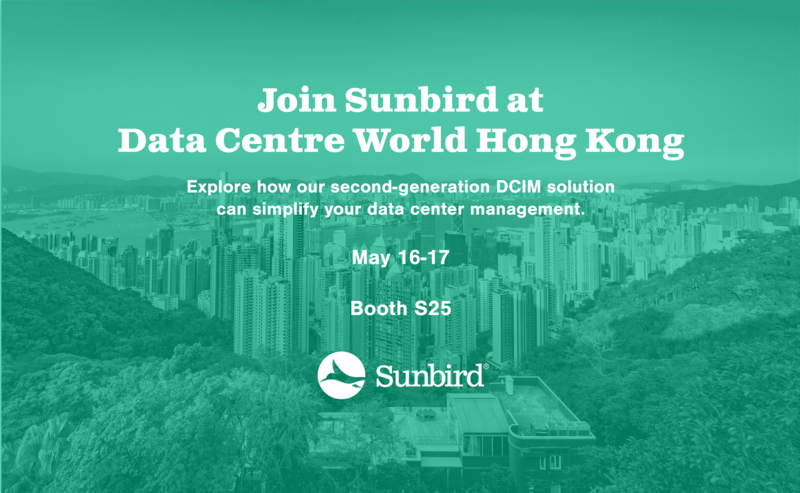 Visit Sunbird at Data Centre World Hong Kong! Sunbird will be at Data Centre World Hong Kong on May 16-17 at the Hong Kong Convention and Exhibition Centre. Stop by Booth S25 for a demonstration of our award-winning second-generation DCIM software. Register for free and join over 10,000 international data center & infrastructure experts at North Asia's largest tech event. Heading to Data Centre World and want to chat one-on-one with a DCIM expert? Sunbird representatives also will be available for individual meetings. Let us know if you’d like to meet.